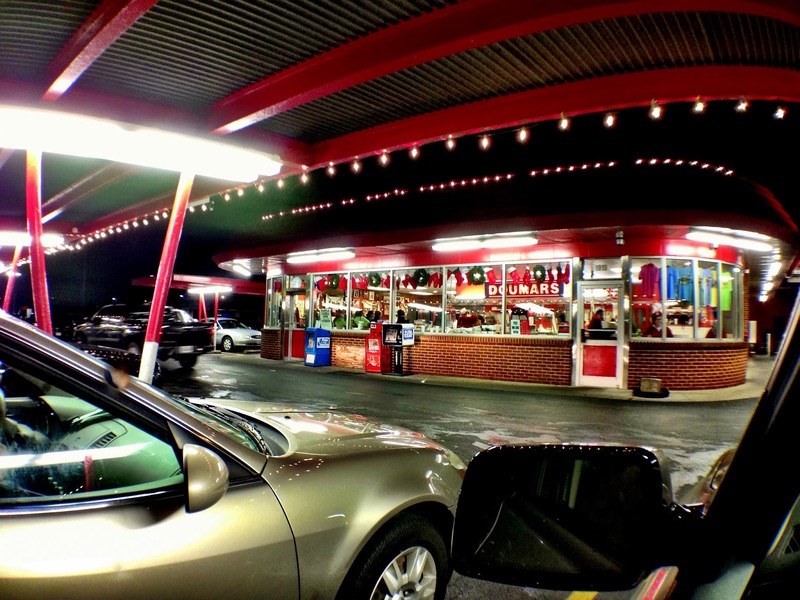 Doumar's classic drive-in on a December Saturday night. Yep, pork barbecue sandwiches with cole slaw and an order of fries. It's a Norfolk Virginia legend and a frequent stop for us. iPhone 5, 1/20 sec @ f/2.4, ISO 100, Olloclip fish eye lens. When I lived in Chesapeake the first time I ordered a bbq pork sandwich they asked "Do you want cole slaw?" Why of course I did. I had NO idea they put it ON the sandwich! LOL!